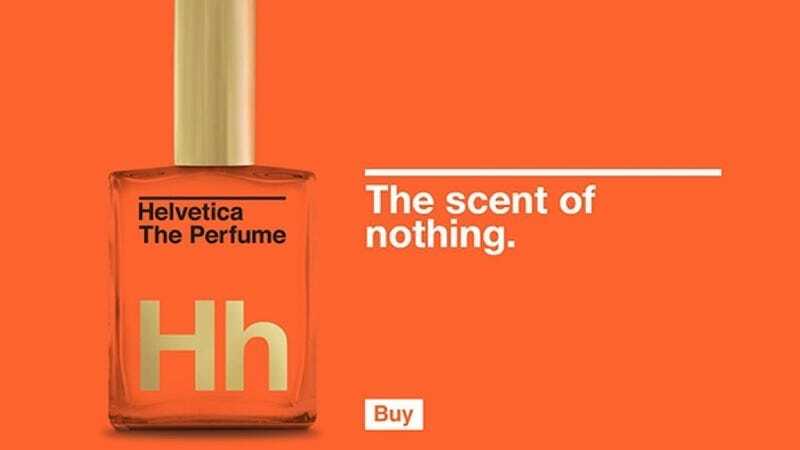 It's been a good week for the olfactory glands, eau my, what with George Takei releasing his very own scent and, thanks to the limitless capacity of ironic advertising campaigns to separate people from their holiday bonus money, the arrival of Helvetica: The Perfume. George Takei&apos;s official, totally real perfume is named "Eau My"
This typeface was to have no intrinsic meaning, allowing the content to convey the message. … It is in this spirit that we have created the ultimate Modernist perfume–a scent distilled down to only the purest and most essential elements to allow you, the content, to convey your message with the utmost clarity. Maybe this is all a little too precious for you, in which case you should feel free to bide your time for a Comic Sans scent that smells like distilled silly string and is sold door-to-door by an angry clown working entirely on commission.